GolfGurls.com – The resource site for today’s woman golfer. Our Focus is on YOU! 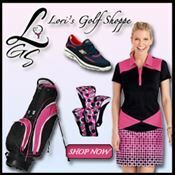 Today’s woman golfer: GolfGurls.com is designed to become a valuable resource for today’s woman golfer. Every area of the game is covered by our editors and guest authors. There are plenty of websites and blogs that cater to the men in the crowd. 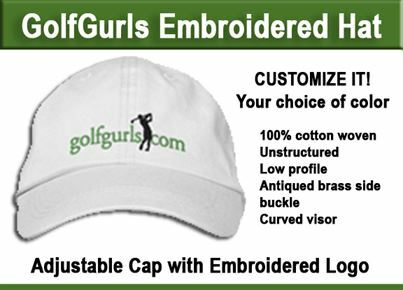 A lot of that information is valuable for the ladies who golf as well and we are happy to link and post and support those sites. GolfGurls.com just adds a special point of view. One tailored for YOU! We welcome your feedback, comments and good ideas. Become a guest author. If you are interested in becoming a contributing author let us know and we will send you our guidelines. Go to our Contact page to send us a direct message. Become a subscriber of GolfGurls.com – It’s free! and you’ll get some free downloads, weekly newsletter and a regular notice when a new post is published. Just put your name and best email address in the form below and we’ll sign you right up. “The first time I ever tried golf was at a corporate outing where I was paired with three other non-golfers. We had one hysterical time and came in dead last. It was a total hoot and thoroughly enjoyable, and even though it was a disastrous round, I was hooked on golf. Golf Injuries: Golf Can Be A Dangerous Sport If You Don't Unwind. Normally I enjoy the tips sent out, but was Very disappointed in Tip #28. With pace of play being quite a problem on golf courses, to encourage ladies to search bushes and water hazards for balls during a round only encourages the problem. To walk the golf course before or after it is officially open and search for balls is a great idea. I would not play with a lady who searches during a round, and don’t know anyone who would. Sorry to disappoint. It is not unusual among the golfers I play with that a ball goes off course. The rules allow 5 minutes of searching, and most golfers I know will at least use some of those minutes searching for a lost ball. Depending on conditions and the pressure from golfers following, many golfers will just drop a new ball and claim a one stroke penalty. It’s all part of the game. That’s a totally different scenero. Looking for your own wayward ball is quite acceptable. Your tip was to look for balls left behind by other golfers to save money. That is quite unacceptable during a round. Sorry… misunderstood. I have seen a lot of golfers check the nearby bushes for lost balls, but only when there is a delay with the group just ahead. I did play with one woman who tried searching for lost balls in the woods as we walked up the fairway. Trust me, she only did it once! I’ve removed the offending paragraph from Tip #28 so others don’t get the wrong idea. Thanks. I received an email with an article on breaking 100. Nice article with good advise but the word practice was spelled wrong about every time in that article. Someone needs to proof read your articles otherwise it doesn’t look professional. Thanks Susan. Will certainly look into that. Just fixed the misspelling. Article was written by a guest author who is from the UK… using his own “English”…. but I should have double checked it. Thanks again. Hi Pat, Great site and Facebook Blog! Lot of potential! I am a golfer, played big 12 golf and in Scotland past 4 summers. I am friends with Martin at Boomer Authority and have an online ad network for boomer sites. Let’s chat. Send me an email when you have a moment. Until then, keep your head down and follow through!